JESSIKILL is a 6 piece, female fronted, heavy metal band hailing from San Antonio, Texas who has gained international attention in their very young career. JESSIKILL has performed at numerous venues throughout the city and has opened up for legendary international metal bands such as Dio Disciples, Krokus; Loudness, Queensryche, Symphony X, Overkill, Riot, John 5, Michael Schenker, Jake E Lee, Faster Pussycat, Flyleaf and more. The band was founded in 2012 and nominated as the "Best Hard Rock Metal Band", "Best Top Local Band" and "Best Female Performer" at the 2015 SANA Awards. 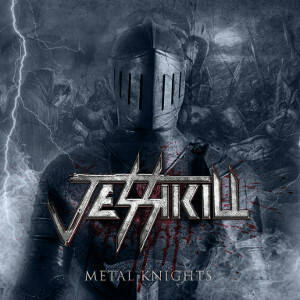 JESSIKILL released their debut EP "METAL KNIGHTS" in January 2016. They are offering shredding guitars and powerful voices along with catchy melodies. Fans of US Heavy Metal should check this out.